The quickest route to a beautiful, aligned smile is through heredity -beautiful teeth often run in families. But for those who weren’t naturally blessed with aligned teeth, orthodontic correction provides well-aligned, healthy teeth to millions of people of all ages. In the past, the normal treatment for orthodontic correction was braces, but today Alex Bratic Dental Care in Beenleigh often recommends Invisalign clear aligners for teens and adults who want the benefits of braces without the “metal mouth” look, complicated hygiene, and dietary restrictions that come with traditional orthodontics (braces). Orthodontic correction is no longer associated with stigma that it used to. A beautiful smile can be yours without the clunky hardware, and in less time! At Alex Bratic Dental Care, we are so confident in the Invisalign treatment that we offer FREE Invisalign consultation to all of our patients! Some signs that teeth may not be properly aligned can include jaw pain, over or underbite, protrusion or crowding (overlapping) of teeth, extra or uneven spaces between teeth, and difficulty with brushing or flossing which can lead to cavities and even gum disease. Orthodontic treatment is often recommended to correct these issues to help achieve optimal oral health. Both braces and Invisalign effectively treat a wide variety of cases, including crowding, spacing, crossbite, overbite, and underbite. Invisalign does come with one requirement – it requires you be disciplined. In order for Invisalign to work, the aligners must be worn at least 22 hours per day. Besides removing your aligners for eating or cleaning your teeth, the aligners must remain in your mouth! The first obvious benefit is that Invisalign is invisibility. The clear aligners make achieving a perfect smile possible without the world knowing you’re wearing braces. Invisalign aligners are removable, which makes eating and drinking easy, you don’t have to worry about how food will affect your braces. The fact that aligners are removable is also convenient for patients who play sports or participate in other athletic activities. Suppose you play contact sports? Invisalign makes it easy for you to remove your aligners for safety’s sake (and put in a mouthguard!) and resume wearing them after the activity. Invisalign prevents stained teeth and bacteria buildup. Because Invisalign can be removed for eating food and cleaning teeth, it is easy to prevent junk from building up on your teeth, which would otherwise create stains and provide food for bacteria. Metal braces, on the other hand, have a tendency to trap food, which can lead to staining and bacteria. There are some measures that can be taken to avoid stained teeth, including avoiding foods that commonly lead to staining, such as coffee, tobacco, tea and red wine. However, in some cases, staining with braces is simply unavoidable. But by far the biggest benefit is that Invisalign can give you a beautiful straight smile. After a years’ time, you have a straight new smile to show off. Invisalign is based on a 3-D scan of your teeth, from which Invisalign trays (called aligners) are built and worn for two weeks at a time. Each tray is manufactured so that the teeth are slightly straighter than the previous tray. The teeth typically move 1/10mm per tray. When your dentist moves you to a new aligner, the spaces in the tray are slightly straighter than your teeth are. This puts pressure on your teeth, and over the course of two weeks they gradually move your teeth into a new position. As your teeth gradually shift, a new set of aligners is used, until your teeth attain their desired alignment. The number of aligners used is different for each patient, depending on the condition of their teeth, and the dentist’s recommendation. Normally, you can have a straight, beautiful smile in between nine months and a year! 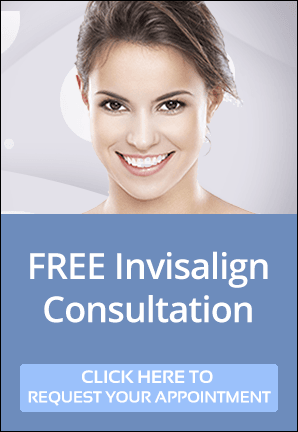 A FREE Invisalign consultation with your Alex Bratic Dental Care can help determine if Invisalign is for you. Alex Bratic Dental Care is your Beenleigh Dentist, proudly serving the local community for over 20 years with experienced, gentle dental care. Alex Bratic Dental Care is located on City Road near the Pacific Motorway near Beenleigh Station, with convenient public transport nearby. Our onsite parking is free and very easy to access. We offer limited early evening hours as well!